Halloween 2013 is all about zombies so this year grab some fake blood, gory latex skin and some evil contact lenses and join the zombie invasion! Here's our suggestion for a statement Men's Zombie costume! What Halloween costume would be complete without lashings of fake blood? This pump bottle means it has never been easier to cover yourself in the stuff. Use on skin and clothes! What's creepier than your GP turning into a gory Zombie? Nothing. Who's going to treat your bunions now?! Embrace the Zombie vibe and scare your friends with this costume which comes complete with the jacket, top, trousers and gloves. Whilst we don't recommend you perform any surgery with this tool, it definitely tops off your Doctor costume. It's lightweight and plastic so feel free to thrash it around. This kit will transform you into a Zombie so well that you'll actually believe you are a Zombie yourself! 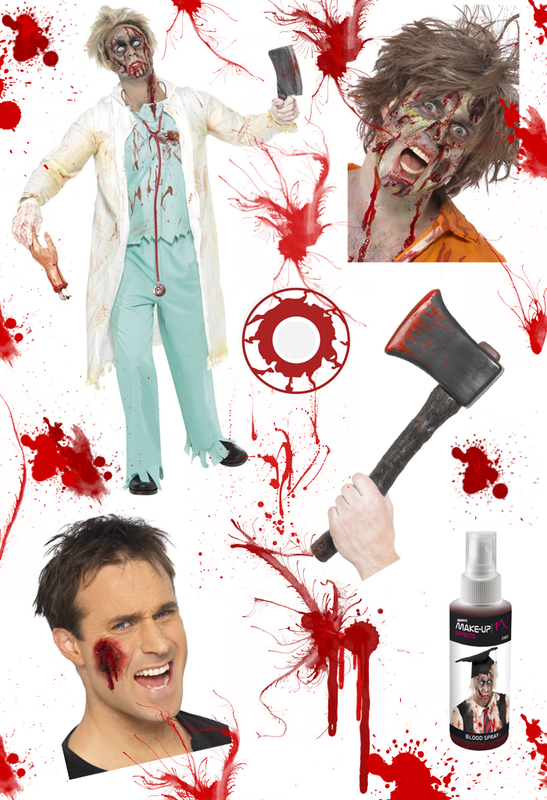 Get professional results with liquid latex, gel blood, horror flesh, face paint and fake blood. It'll be hard to even find your skin under all of that! Just to add to the mutilation, we recommend a big gory wound. Stick it on your forehead, arm, neck, chest or anywhere that's not covered in blood yet. It has to be said, contact lenses will top off your costume better than anything else. People won't know where to look when you stare back with these blood shot eyes looking back. These last for just one day and are perfect for that Halloween night out. 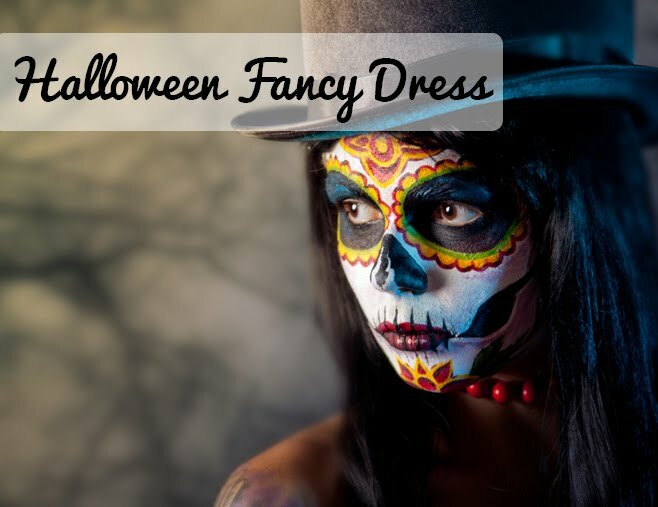 What will you be wearing this Halloween? Are you going to join in the Zombie Evacuation? Let us know!